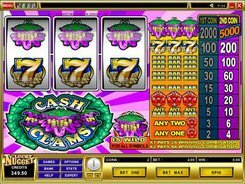 The classic-style Cash Clams slot released by Microgaming is crafted with three reels and a single payline. 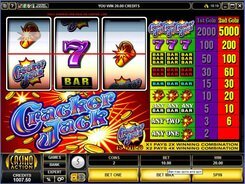 Join crabs and clams in their pursuit for an ultimate cash prize and watch out for sevens and bar symbols as they are to produce winning combinations and bring you some winnings. 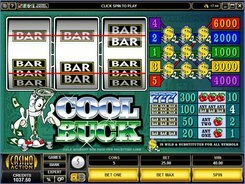 First off, you should place a bet at a surprisingly flexible range of $0.25 to $10 per spin. 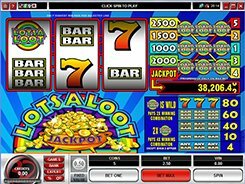 By betting a maximum of two coins per line, per spin, you can qualify for getting the highest jackpot of 5000 coins awarded for three Cash Clams symbols on the payline. 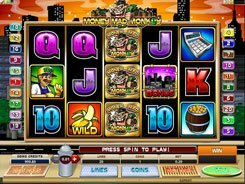 The Cash Clams is the most welcome symbol in the slot since it acts as a wild substituting for the icons needed to finish the payline. 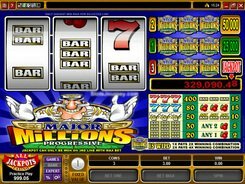 One wild completing a winning combination doubles the payout, and two wilds will increase your win four times the combination value. 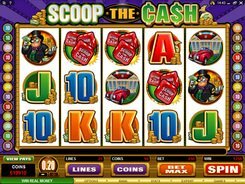 To sum up, you can bet low-value bets still having the chance to win big.